“Over the town, the watchbird soared in a long, lazy curve. Its aluminum hide glistened in the morning sun, and dots of light danced on its stiff wings. Silently it flew. The watchbirds of the title are flying robots equipped with the tools to do their jobs – they sniff out the “outpouring of certain glands” and “taste” the “deviant brain wave” of a murderer before he or she can strike. 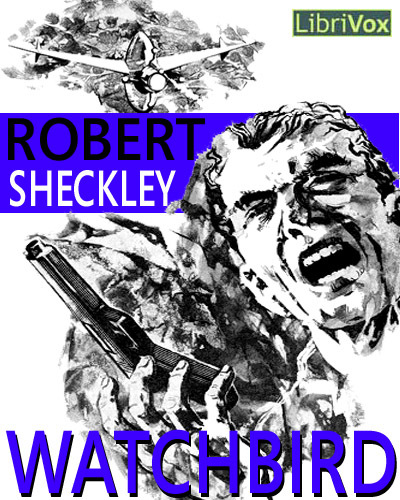 But the watchbirds have also been programmed with the knowledge that not all murderers are wrathful, some like one hit-man who shows up in the story, have no feelings about the murders they commit. And so, they must learn to watch out for these hidden murders, to look out for the precursors to cold killings. And that’s where I think Sheckley’s radical departure comes in. Denotation is at the heart of human conflict. In answer to that question I think Watchbird should be better known, more read, and perhaps like Orwell’s novels Animal Farm and 1984, it should be read by those who would seek to govern. Sadly, I think this unlikely. I’m not convinced Watchbird‘s epistemological skepticism is as palatable as the simplicity of: a “boot stamping on a human face— forever” or that of a megalomaniacal pig. Epistemology is a hard, hard sell, but as we strive for the moral conclusions we so desire, we must, if we are to be clever, first reconcile all the varied definitions that we think we know. Strange how often the Millennium has been at hand. The idea is peace on Earth, see, and the way to do it is by figuring out angles. First published in the February 1953 issue of Galaxy Science Fiction. *The adaptation begins at approx. the 43 minute mark. SF’68 was produced in Johannesburg, South Africa in 1968. -Video adaptation in The Masters Of Science Fiction TV series.